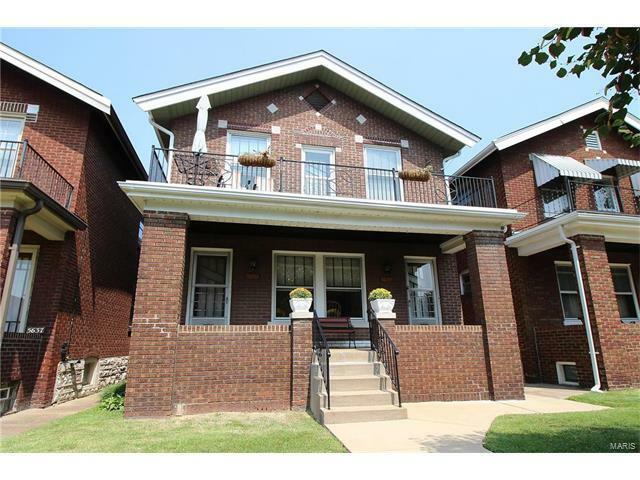 Excellent opportunity to live in or invest in this well maintained Duplex in St Louis Hills area. The main floor unit has 2 bdrms, 1 bath with glassed in porch and detached garage. The second floor has 2 bdrms and 1 bath with glassed in porch and updated kitchen and detached garage. Both units have separate furnace and A/C. Newer water heaters; newer electric panels and plumbing stacks. Enclosed soffits and fascia. Second floor has separate front and side entrances. Owner occupied on first floor and month to month renter on second floor.